ATU Local 1555 President Antonette Bryant addressing the ILWU Local 10 membership meeting July 18 about the struggle of BART workers to get a decent contract. After a 4 year wage freeze and no movement in negotiations it looks like the BART strike will be renewed, this time with the Bay Area labor movement behind BART workers. Below is the motion passed unanimously by the Local 10 members to support the BART workers Labor Solidarity Rally on Aug. 1. FURTHERMORE, we will join with the BART workers unions ATU Local 1555, SEIU Local 1021, AFSCME Local 3993 and ATU Local 192 seek the support of all transport unions and those affected by austerity cuts as well as the Alameda, San Francisco and South Bay Labor Councils in a show of solidarity in the BART workers fight for a decent contract. 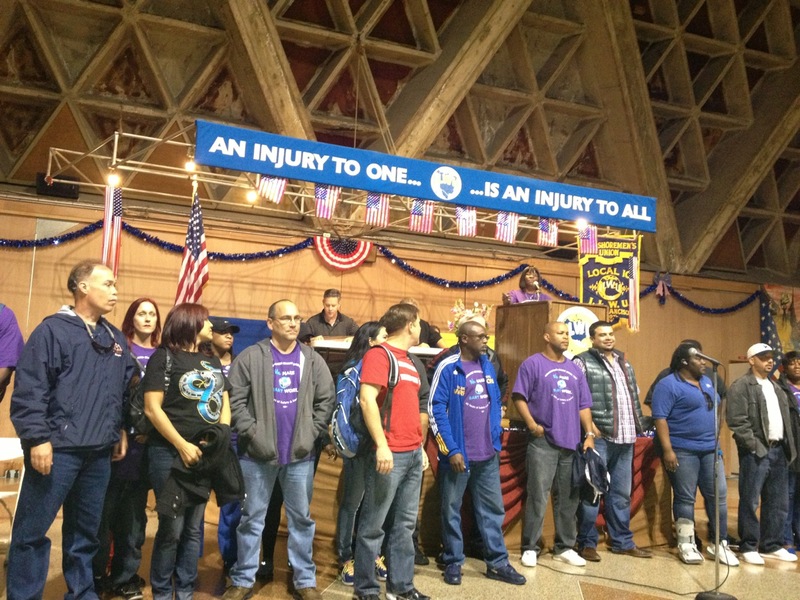 A victory for the BART workers is a victory for all of labor!